$1200 Raised by O’Farrell Financial’s ‘Dressed Down for Mental Health’ Fundraiser. In June of 2018, O’Farrell Financial Services launched their first ‘Casual for a Cause’ campaign. For the months of June, July and August, the employees participated in a ‘Dressed Down for Mental Health’ fundraiser. Throughout the summer, the staff enjoyed Casual Fridays by paying $2 per person, each week, to dress down. By the end of this employee-led community initiative, the team had raised over $1,200. 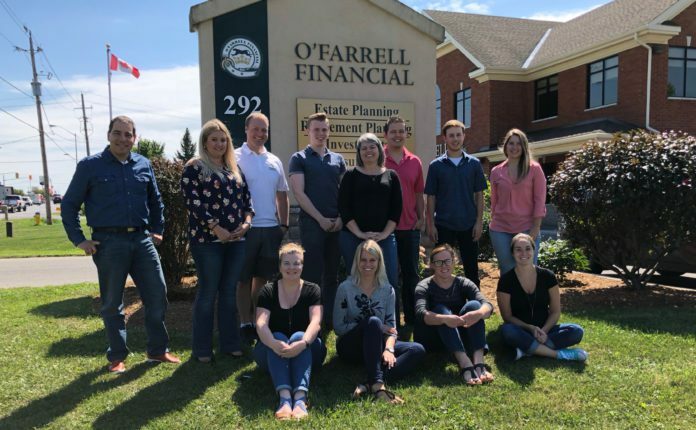 O’Farrell Financial’s community mandate outlines their mission to achieve a positive social impact through sponsorships and employee volunteerism in the areas of Agriculture and Health & Wellness. With this in mind, the team voted to shine a light on Mental Health for their first campaign. The $1,200 raised was split evenly between four local community hospital foundations, with the funds directed to their mental health initiatives. The hospital foundations that received these donations are: Brockville & District Hospital Foundation; Cornwall Community Hospital Foundation; Kemptville District Hospital Foundation; and Winchester & District Hospital Foundation. The O’Farrell Financial team will begin their second ‘Casual for a Cause’ campaign on Friday, November 16, and it will run until Friday, December 28. The benefactor of these proceeds has not been announced yet, but it will be an Agricultural organization. 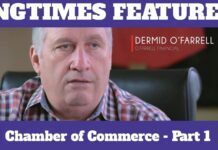 To learn more about O’Farrell Financial’s community mandate, visit www.ofarrellfinancial.com/community, or email Nicole Millest at [email protected]. What a bunch of Sweethearts!